The Summit Series of bill validating safes take your cash management process to the next level. This network solution not only brings the latest technology to day-to-day cash processing at your retail locations, but also leverages our Summit Web Services to make daily cash handling information available to your entire organization. 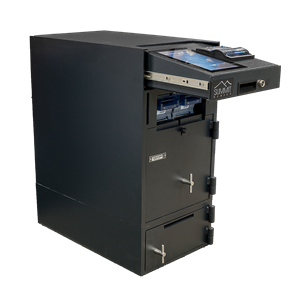 The Summit Series SV2 bill validating safes can take your cash management process to the next level. With immediate view of cash activities across single or multiple locations, the ability to maximize cash flow and reduce cash shrinkage is greatly enhanced. Security between the safe and the cloud servers provided through state-of-the-art encrypted VPN channel using certificate based authentication. 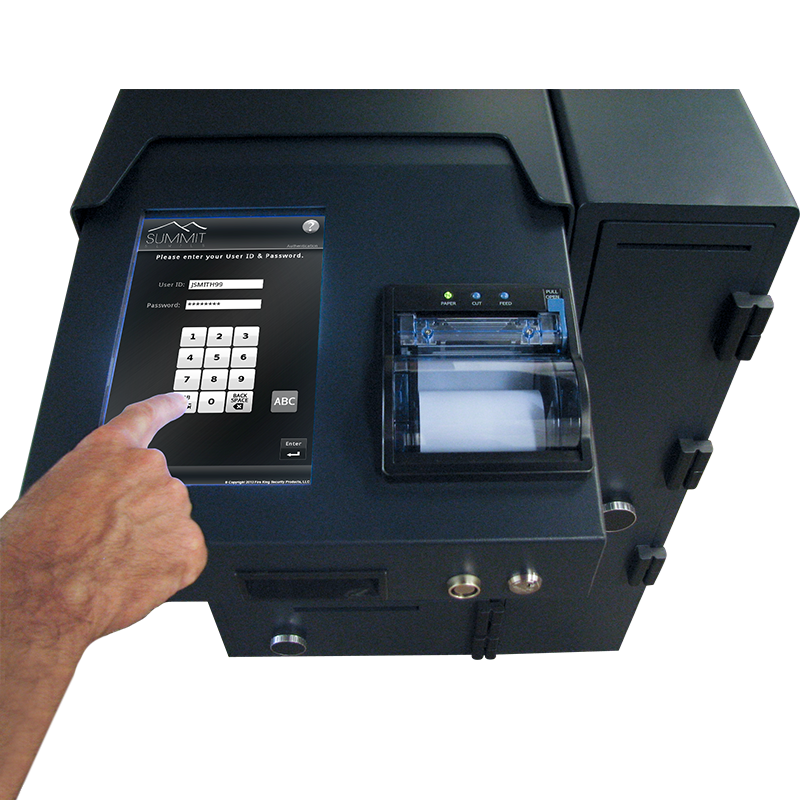 Why does your business need a smart safe? How does it fit into the cash handling process? 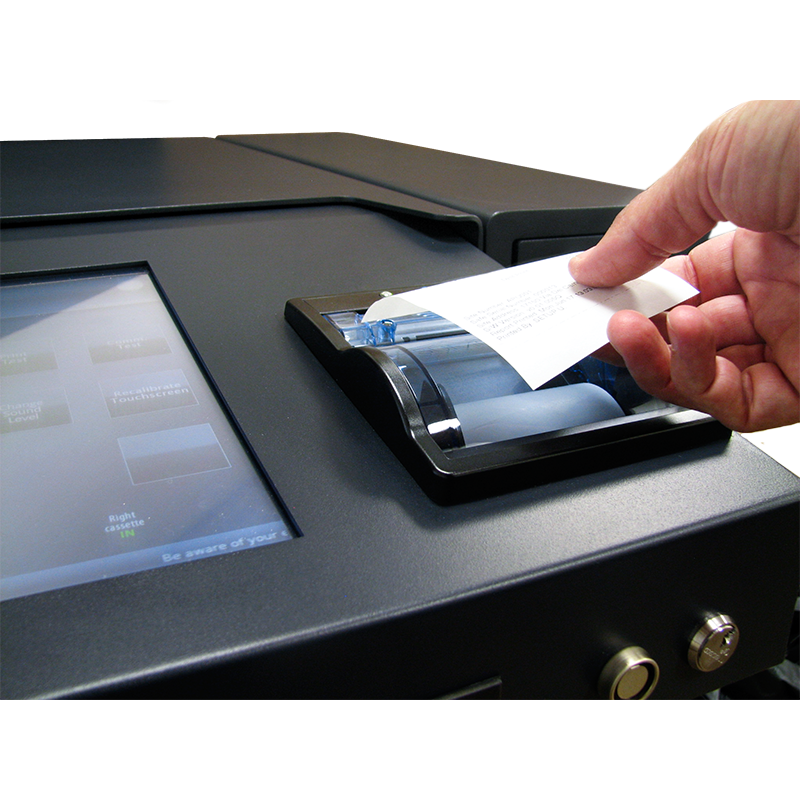 By eliminating discrepancies in counting and preparing cash, your profits are always protected. Instead of making risky trips to the bank, trusted armored services take care of it for you. Conveniently, the money within your safe deposits directly into your account at the business, which you will be able to access the next day. Click Here to learn more.